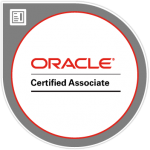 Oracle Java programming certifications are considered very valuable in the IT industry. With respect to Java, there are two courses; one if OCAJP for the beginners and the other is OCPJP for the advanced professionals. Both the courses are available for every new version of Java, and you first need to clear OCA to be eligible for the OCP Java certification. While there are experienced Java programmers who haven’t completed these exams, the increasing demand for certified professionals makes these exams important for every professional interested in making a career in Java programming. If you are planning to appear for the exam, it is natural to have questions regarding the same. #1. Should Experienced Developers Get Java certified? #2. Is OCP Certification Now Necessary to Get a Job as a Java Developer? #3. Should I Get Java 8 or Java 7 Certification? #4. Should I Go for Java 8 Certification if I Already Have Java 7 Certification? #5. Why Are There Two Exams? #6. Is it Compulsory to Get Java Training to Appear for the Exams? #7. Should I Target the Java 7 or Java 8 Certification? Should Experienced Developers Get Java certified? Is OCP Certification Now Necessary to Get a Job as a Java Developer? Should I Get Java 8 or Java 7 Certification? Should I Go for Java 8 Certification if I Already Have Java 7 Certification? Is it Compulsory to Get Java Training to Appear for the Exams? Should I Target the Java 7 or Java 8 Certification? Checkout & Read also: How Long The PMP Certification Is Valid For? While it is not necessary for experienced developers to get certified, the certification can help them in many different ways. For instance, a lot of companies now insist on hiring programmers who are certified. While your experience in the industry is very important too, the certification can add more value to your resume. Moreover, the Oracle training and certification is also an excellent way to improve your Java programming knowledge. Throughout the preparation phase, you are sure to learn a lot of new things not just about the new features of Java language but also about the things that you thought you are expert in. A. No, you do not need OCP certification to get a job as a Java developer. Similar, clearing the exam and getting the certification is in no way a guarantee for a job in Java. But with the increasing competition in the IT industry, the certification is an excellent way to stand out from the crowd and increase the chances of getting hired by major IT companies. Every new version of Java comes with new features and addition, and thus it is better to get certified in the latest version of the language. Currently, Java 8 is the latest version for which you can get the certification. While Java 9 has been released, the corresponding certification exams would probably be made available in 2018. So, if you are planning to get Oracle training and certification now, Java 8 is the way to go. New Java certification exams are usually released every three years. If you have Java 7 certification, it’d be better if you wait for Java 9 certification which would probably be released in 2018. There aren’t a lot of major changes between Java 7 and Java 8 and waiting for a few months to get the latest certification is surely a better option now. Just try to learn about new calendar classes and Lambda expressions of Java 8 to keep yourself updated. No, it isn’t compulsory to get Java training for the exams. But while there are several simulators and books available online for free, to improve your chances of clearing the exam in the first attempt, it’d be better if you look for a reputed Java course. With the help of experienced trainers, well-researched study materials, and other candidates appearing for the exam, you’d be able to learn better. These are some of the most common questions that candidates have in mind when they want to appear for the Java certification exam. The certification has a number of potential benefits if you are planning to make a career in Java and can help programmers significantly improve their professional worth. Checkout here Most Common Questions about the OCP, OCA, Java 8, 7 and java 9 technical Interview questions. Read Now!